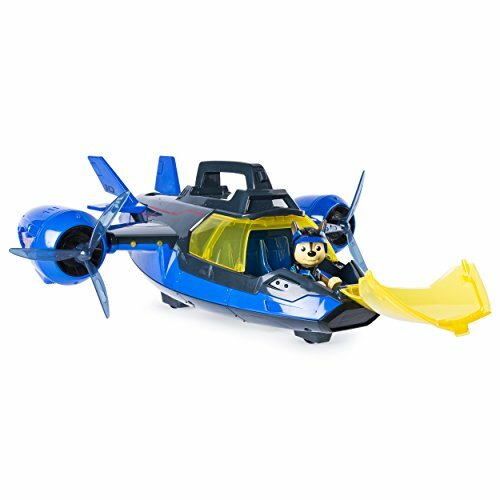 The 2-in-1 Mission Paw Air Patroller transforms from helicopter to plane mode for real Paw Patrol Mission Paw Rescue Missions! 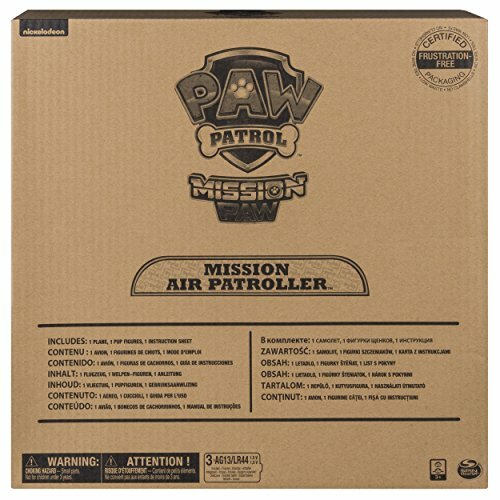 The Mission Paw Air Patroller has real lights and sounds! 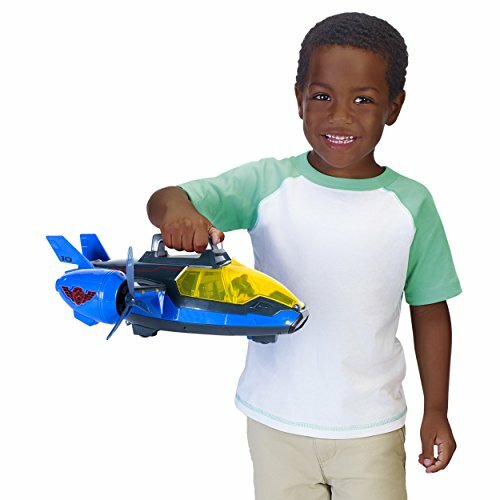 Press the button on top of the Air Patroller’s handle to activate. 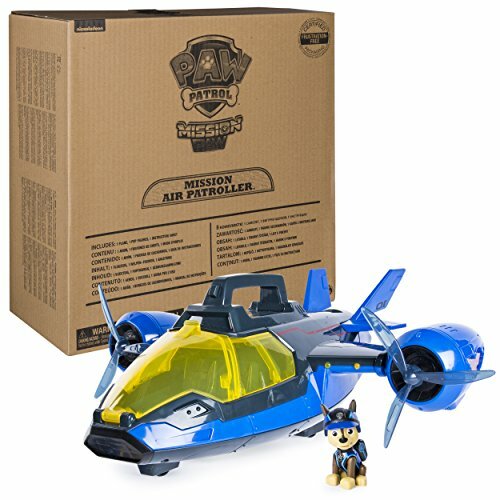 The Mission Paw Air Patroller comes with a Chase figure. 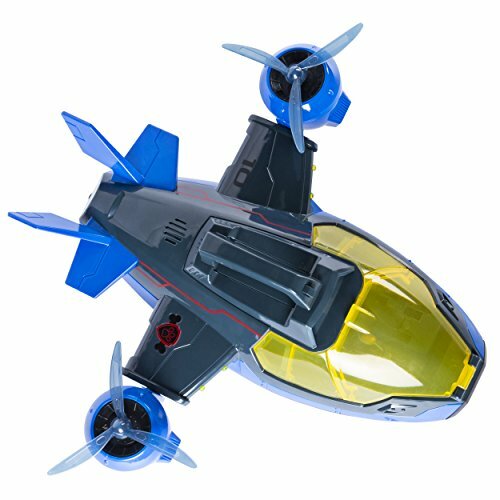 Additional Mission Paw figures (sold separately) can be stored in the Cockpit and Cargo Bay. 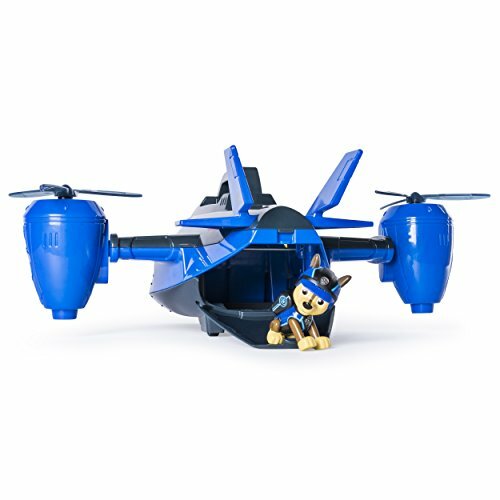 The Mission Paw Air Patroller is for kids ages 3+. Batteries required: 3 x LR44 required. Batteries included.